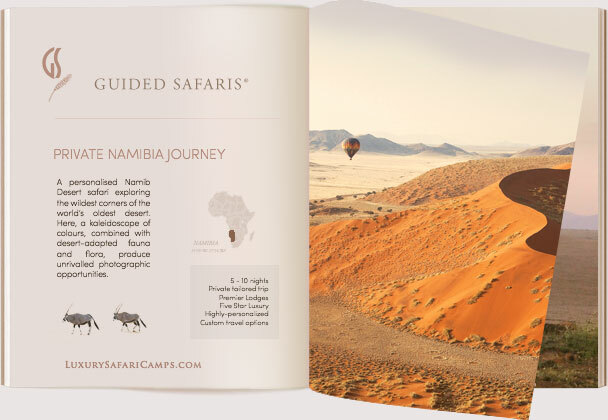 This Guided Safaris® landmark journey showcases the vast expansiveness of the Southern African wilderness. Witness the epic wetland spectacles and staggering beauty of the Okavango Delta, renowned for plentiful Big Cat interaction, and journey across the far flung Selinda spillway with awe-inspiring herds of Elephant and plains game, uncovering the most exclusive spots in Botswana. A favorite for photographers! 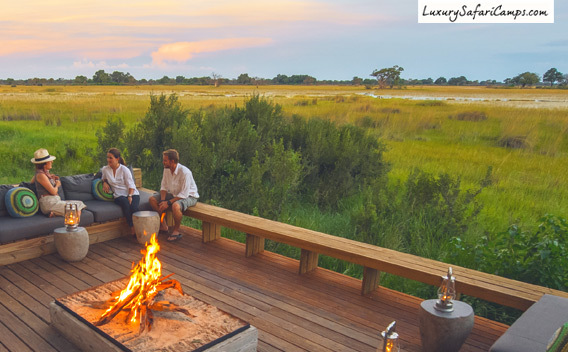 On arrival in Maun, Botswana you will be welcomed by the Guided Safaris® on-ground team and assisted with boarding your safari charter flight to the private Selinda Game Reserve. 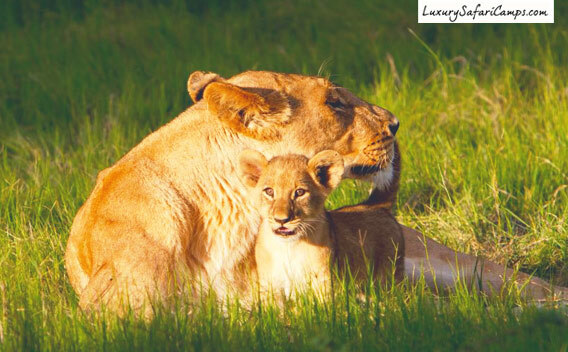 Spanning an impressive area of 320,000 acres, the reserve is available exclusively to our guests at camp thereby providing an incredibly private and authentic safari experience with greater numbers of habituated wildlife. 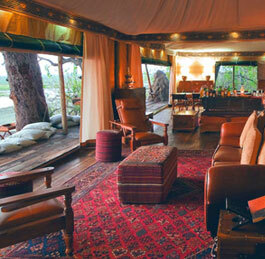 One of the most beautiful luxury safari camps in the country serves as your base for the next two nights! Enjoy a safari style welcome and dinner with your hosts and settle in for the adventure of a lifetime. Meals: All meals and drinks inclusive of your stay at camp, per safari custom. After a morning game drive and breakfast, your camp ranger will help transfer you to the airstrip and help with boarding your flight to the Okavango Delta. Enjoy an exhillirating cross-country aerial view of the Botswana safari terrain with herds of game traversing the wetlands and plains far below you. 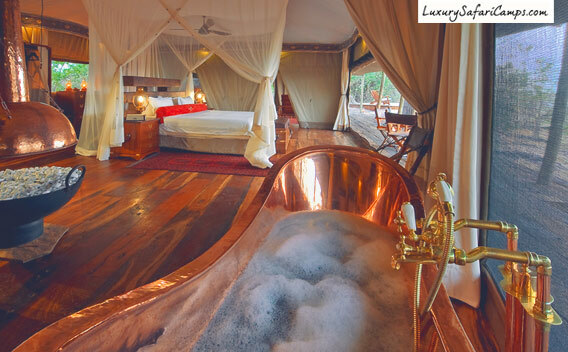 On arrival at our private airstrip, our camp hosts will usher you to your magnificent lodge suite in the wilderness for an unforgettable finish to your dream safari. High-thrill activities bring you face to face with dominant prides of lion, elusive leopards and a plethora of predators-and-prey in action. 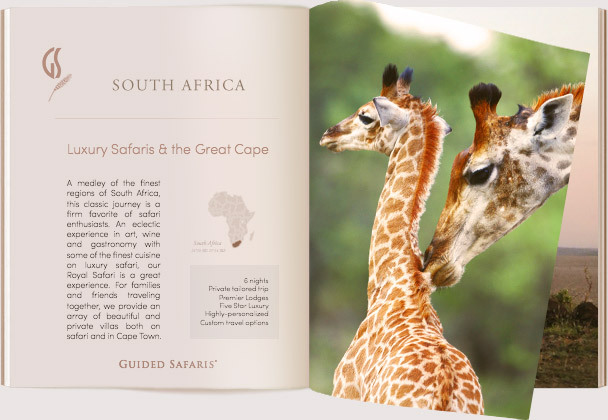 Engage with our finest guides to glean their knowledge on animal behavior and habitat. Garnering a treasure hold of experiences in the wild, we fly you to the International Airport for your onward journey home; a promise of your African return adrift in the air. Embark on a superb safari experience with our private locations in Botswana, far flung from the beaten path. 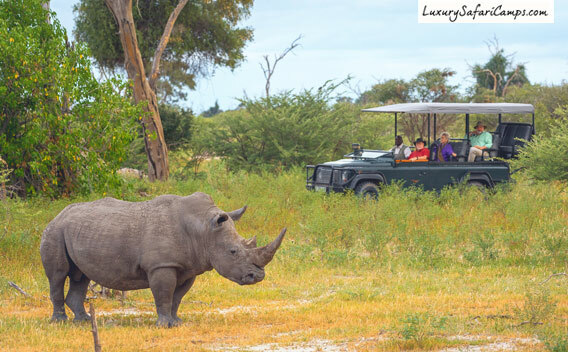 Experience two completely unique ecological regions in Botswana for varied game viewing and exciting activities. Run by celebrated photographers and award-winning filmmakers, our safaris enjoy prime access to private 350,000-acre concessions while based at luxurious lodges rated ‘Finest in Botswana’. 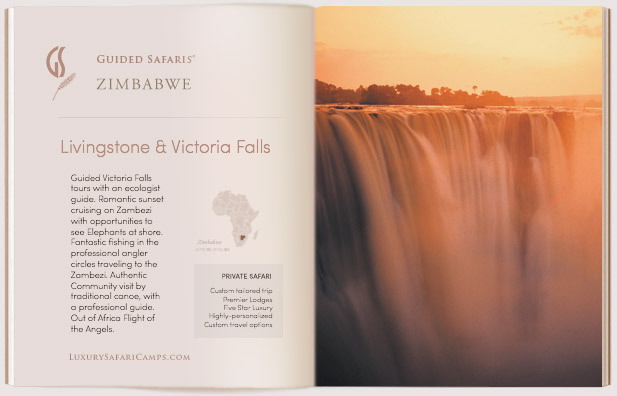 Guided Safaris® is partnered with the most exclusive private game reserves in Botswana: We know luxury safaris intimately and feature truly authentic safari accommodation; Some with plunge pools on your private suite’s viewing deck. Watch Elephant go by as you lounge with a cocktail in hand. 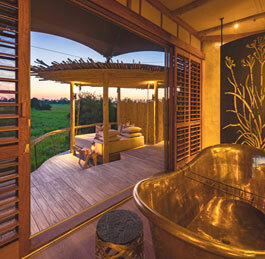 With each itinerary custom designed to your taste and travel dates, we ensure that our personal care carries forward in these stunning settings on safari. 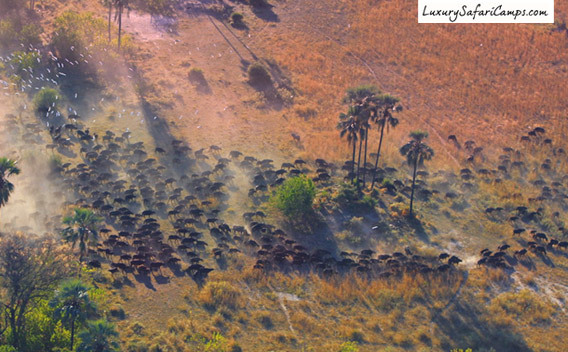 Here roam Botswana’s famed great herds of Elephant and Buffalo. We offer professional camera equipment and lenses for our guests on safari in this location, at no extra cost. You also have use of professional binoculars. At camp, we also provide Specialist Elephant Photography hides for a unique perspective of the large herds in this unique area. Enjoy up close viewing of Wild Dog and year-round predators such as Lions, Leopard and Cheetah on vast savannah plains. Coming all the way to Botswana it’s hard to miss the unique places renowned for close-up game viewing of Big Cats; Especially, the iconic Leopards that have made this region famous. 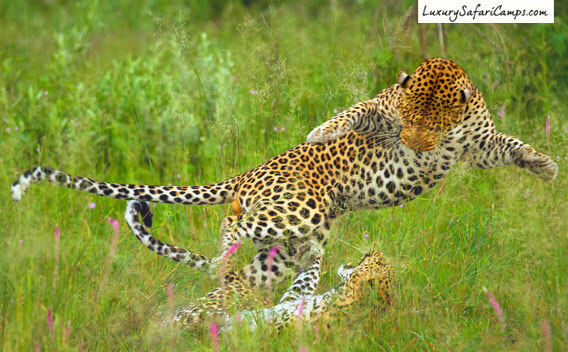 Mombo’s Legadema is the leopard featured in the Eye of the Leopard documentary filmed for National Geographic. She and her daughter Pula are regular sightings on drives along with their flourishing generations. Black maned lions are prominent on this safari. 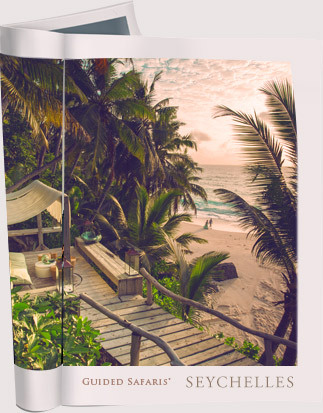 What is different about this vacation is that so much of what you’re experiencing is occurring at a very high level of personalized service -- and it’s all inclusive of your stay; Most trips around the world would typically have you accounting for several transfers, meals, laundry service and more - whereas our packages do cover for all of these types of expenses. Enjoy a completely tailor-made, pre-planned journey from start to finish! 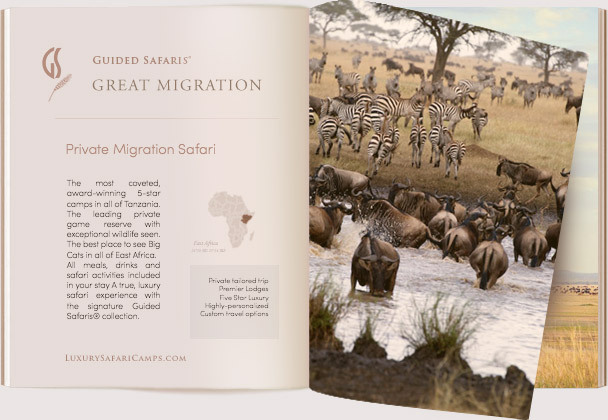 Wildlife conservation and rural community support is at the core of every journey with Guided Safaris®: Without large tracts where migration routes are protected wildlife does not stand a chance of survival. 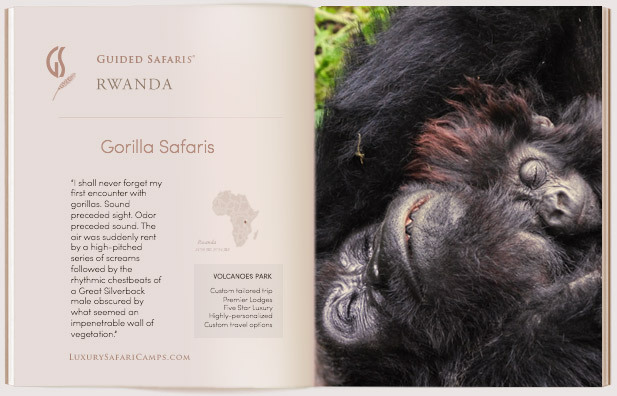 We invite you to learn about the great conservation work being supported by your visit to these fragile African regions. Witness firsthand how your visit is lending considerable support. to this vanishing wilderness. Our Big Cats Initiative founded with National Geographic specifically provides funding for lions, cheetahs and leopards in Africa. Daily Land-based Game Drives are the speciality and highlight at each of our camps: We don’t offer any region where game would would be sparse or where you’d be stuck with water-only activities - regardless of the time of year. 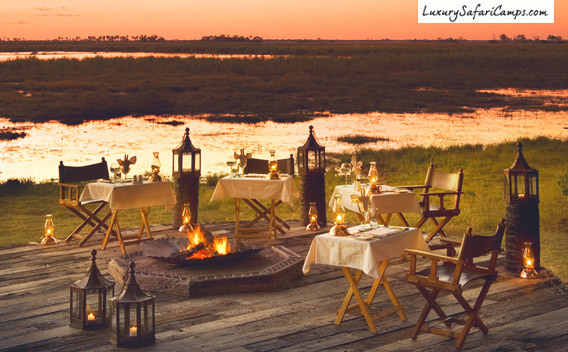 Sunset Boat cruises with drinks and canapés served aboard are a highlight in Northern Botswana. Guided Walking safaris are also offered for closer interactions with nature and birding. 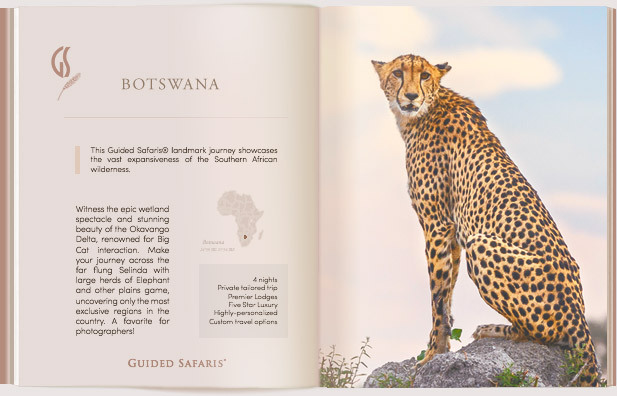 Discover world-class programs by Guided Safaris® in partnership with Botswana’s finest private locations. Guided Safaris® have sourced rare and beautiful experiences that highlight Botswana’s wilderness in complete exclusivity. Far away from the crowded public areas of Chobe and Okavango, our private Botswana concessions are exclusive to our guests providing great opportunities to spot excellent numbers of wildlife. In collaboration with Botswana’s most crucial conservation projects, your visit supports rare Black Rhino and Lion in these special regions. Twice daily game drives with professional guides in open 4x4 vehicles. Guided birding safaris with specialist rangers. All local flights and transfers are inclusive of your safari. We offer daily scheduled flights on Botswana’s most reliable & best-rated carriers to our private airstrips. We can also add-on flights from South Africa, if required. Private air charters are available, quote on request. Your Guided Safaris® package includes pretty much everything from start to finish once you arrive in Botswana - including all local flights, transfers, meals, drinks and guided activities. We also have private options for families seeking exclusive accommodations and camp charters. Please contact us to customize your safari.